Cook with 3-4 tbsps per day of healthy oils like olive and canola, or eat handful of healthy nuts like peanuts and almonds. 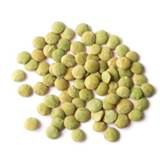 They help you lose weight, improve cholesterol levels and reduce your chances of heart disease. Try making about half the food you eat fruits and vegetables. Aim for variety and include plenty of darker and brighter colored vegetables. Lighter colored vegetables like iceberg lettuce don't do you that much good. Limit fruit juice to a small glass per day. Try making about a quarter of the food you eat whole grains. The best are intact grains like oats, brown rice and wheat berries. Limit foods made with refined grains like white bread. They have little nutritional value and increase your risk of obesity and diabetes. Drink water instead of sugary beverages or fruit juices. It should be your primary beverage. Add 1-2 cups of dairy per day for calcium and strong bones. Try making about a quarter of the food you eat should be healthy protein like beans, fish, chicken, nuts and tofu. If you like red meat, eat it in moderation, but avoid processed meats such as bacon and sausage. Limit added sugar, refined grains and processed meats. Sugary foods and foods made with refined grains like white bread increase your risk of obesity and diabetes. Processed meats like salami and bacon increase your risk of heart disease. Cook as often as you can. Home cooked meals based on natural ingredients are almost always far healthier than processed food. And if you know or can learn how to cook, it can be much tastier too. For more information, check out the "Everything You Really Need to Know about Nutrition in 5 minutes" videos - in English and Spanish. 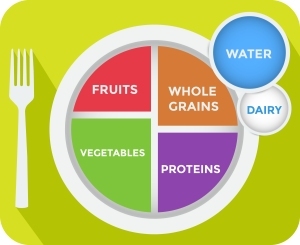 Try filling half your plate with fruits and vegetables. Vegetables are the healthiest food you can eat, full of the vitamins and minerals your body needs. Aim for variety, but dark green, bright red, orange and yellow ones are the best. Lighter colored vegetables like iceberg lettuce don't do you that much good. Eat potatos in moderation - they convert to blood sugar and then body fat quickly. Whole fruits are also extremely healthy. Eat fruit with breakfast, and try keeping a bowl out where you can see it, so you snack on fruit instead of junk food during the day. But limit fruit juices. They convert fat quickly, so try not to drink more than one small glass per day. Overall, a diet rich in fruits and vegetables dramatically decreases your chances of becoming obese, and of having a heart attack or stroke. It also helps protects against cancer and lower blood pressure. Try making whole grains about a quarter of what you eat. 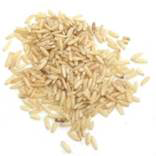 The healthiest whole grains are unprocessed, such as oats, brown rice and wheat berries. They convert to blood sugar fairly slowly, and are the least likely to end up turning into body fat. For breakfast, try oatmeal and fruit. 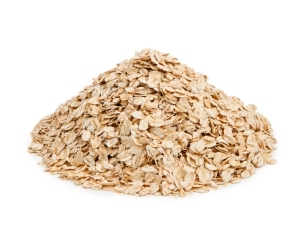 Rolled oats are a lot better for you than instant oatmeal. For dinner, try replacing white pasta with whole grains likebrown rice or wheat berries. Corn tortillas, whole wheat bread, and whole wheat pasta convert to fat more quickly than unprocessed grains, but they are still much better for you than foods made with highly processed grains like white bread, crackers and pastries. They have little or no nutritional value, and are quickly digested and converted into blood sugar and then body fat. These foods also spike up your insulin levels, which over time can lead to diabetes. Here's a good video that explains how this works. Try making ealthy proteins like beans, nuts, fish, chicken and eggs about a quarter of what you eat. Beans and Nuts. Beans and nuts are extremely healthy sources of protein. 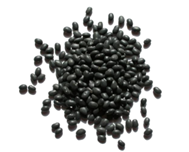 Black beans, soybeans (and tofu), pinto beans, navy beans, garbanzos, and lentils are all great choices. Nuts such as almonds, peanuts (and peanut butter) are high in protein and also healthy fats that are good for your heart. Eating nuts and beans in place of food made with refined flour can lower the risk of heart disease and diabetes, and actually help you lose weight since you digest them more slowly. Meat. Fish is the healthiest animal protein you can eat. It's high in the protein your body needs for muscle health and has very little saturated fat. It also reduces the risk of heart disease, since fish is rich in heart-healthy omega-3 fats. Chicken, turkey and eggs are also good sources of protein, though people with diabetes or heart disease should limit their egg consumption. Red meat is fine in moderation, and much better for you than most processed foods. Try to avoid processed meats like bacon and hot dogs. It's kind of surprising, but in moderation, healthy fats and oils help you lose weight! You digest them slowly, so they keep you feeling full longer and it's easier to avoid overeating. Good sources of healthy fats and oils include vegetable oils such as olive oil, canola oil, corn oil and sunflower oil; nuts like peanuts (or peanut butter) and almonds; and seeds, avocados, and fatty fish like salmon. 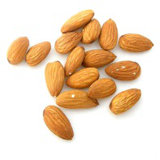 Experts recommend eating an ounce of nuts per day (a generous handful) or 3-4 tablespoons of healthy oil per day. Meals cooked in a little healthy oil are actually good for you! These healthy fats and oils improve cholesterol levels and reduce your chances of obesity, type 2 diabetes and heart disease, especially when eaten instead of snack foods. Just don't overdo it. Drink water instead of sugary beverages or fruit juices. It should be your primary beverage. Milk is a great source of the calcium you need for healthy bones, but recent research indicates there may be some healthy risks associated with heavy milk consumption. 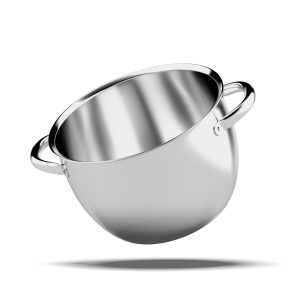 Most experts still agree you get an overall health benefit from moderate dairy consumption of between 1-2 cups per day. The experts are divided on whether whole milk or skim milk is better for you. Whole milk has more saturated fat, but it keeps you feeling full longer, and people that drink whole milk tend to be thinner than those who drink 2% or non-fat milk. Plus it's a lot tastier. As long as you don't have high cholesterol, whole milk in moderation is proably a good choice, especially if it keeps you from snacking on processed foods. If you are lactose intolerant or just don't like dairy, make sure you eat plenty of alternative calcium-rich foods instead. Best choices are dark green vegetables like kale and broccoli, almonds, (and almond milk), soybeans, oranges and sardines. Also, your body needs vitamin D to absorb calcium, which you get from being in the sun (or from milk fortified with vitamin D). So especially if you're not outside often and don't drink milk, best to take a vitamin D supplement or a multivitamin. Try to limit your use of added sugar. Added sugar is different than natural sugar - it is digested much more quickly and is much more likely to turn into body fat and lead to diabetes than natural sugar. It's also fairly addictive, and hard to stop eating it even when you aren't hungry. Americans now consume over 100 pounds of added sugar per year, more than any other nation. It's one of the primary causes (along with refined grains) for the epidemic of obesity, diabetes, heart disease and high blood pressure in this country. Drink water instead of sugary drinks and avoid junk food as much as possible. Everyone knows that there's a lot of sugar in sodas and junk food, but sugar is also added into most processes foods. So try to avoid foods where sugar is one of the first three ingredients.Substitute fruit for refined sugar in your diet as much as possible. Fruit is sweet, but its natural sugars are digested much more slowly, and are much healthier. Refined grains have had their nutritional bran and germ parts stripped away, so that all that is left are starchy empty calories. They have little nutritional value, and after you eat them, you quickly convert them to sugar in your blood. High blood sugar is toxic to your body. So you body responds by secreting insulin, which tells your body to get the excess glucose out of your blood by converting it into fat. 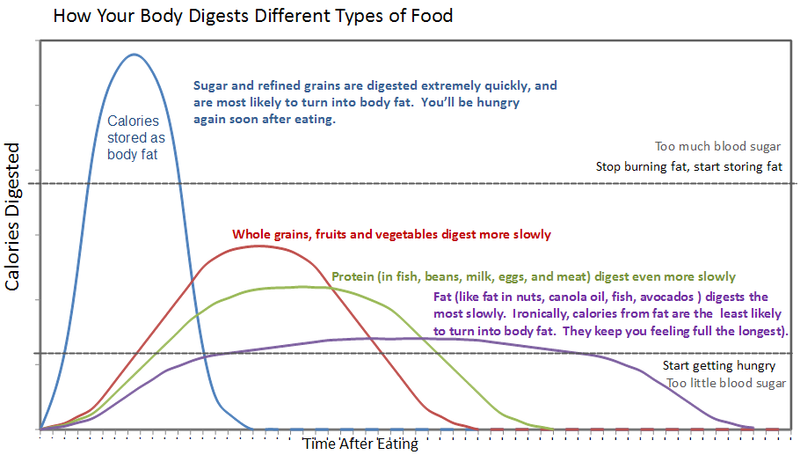 So you tend to quickly store the refined grains you eat as fat, and then get hungry again. Even worse, after being repeatedly flooded with insulin, your cells start to become insulin resistant, which often leads to diabetes. So avoid foods made with refined grains as much as possible, like white wheat tortillas, white bread, pastries, cookies, white rice and many breakfast cereals. Switching to intact whole grains like brown rice, wheat berries and oats is best, but next best are processed whole grain options like whole wheat bread and cereals and whole wheat pasta. Processed meat (such as bacon, sausages, hot dogs and deli meats) contain lots of saturated fat, sodium, and nitrates and nitrates, which increase your risk of heart disease, diabetes, high blood pressure, stomach cancer and colon cancer. So it's best to avoid processed meat as much as possible. If you love meat, best to stick to fish or chicken and red meat in moderation. Sugar and foods made with refined flour aren't just empty calories. They change your metabolism in a way that often leads to obesity and diabetes. The chart shown below illustrates how this works. Sugar and refined grains are quickly digested and converted into a rush of blood sugar. Too much blood sugar is toxic to your body, and it responds by spiking up insulin. This gets the sugar out of your blood by storing it as body fat, and quickly leaves you feeling hungry again, often even hungrier than you were before. Over time, this cycle often lead to obesity and diabetes. Whole grains, protein and especially fat digest more slowly, are much less likely to convert to body fat, and keep you feeling full longer. Your body is really good at making you eat when you are hungry, and if you are eating a lot of refined grains and sugar, you'll be hungry most of the time. In a study by the The Optimal Weight for Life (OWL) Program at Boston Children's Hospital, children who ate a diet rich in refined grains and sugar ate a staggering 600 calories more per day than those who ate foods that digest more slowly. Many people think they’ll have a healthy diet if they eat fruits and vegetables and then fill in the rest with less healthy processed foods. That’s usually not the case. You need about 2,000 calories per day to cover your basic energy needs. Fruit and vegetables only have about 200 calories per pound, so even if you eat 2 pounds of fruits and vegetables a day, your body will want another 1600 calories per day more. If most of those calories are unhealthy processed food, you’ll still be at a high risk of obesity, diabetes and overall poor nutrition. It’s much healthier to balance out your diet with whole grains, beans, meat and oil, all of which have important nutrients your body needs. It’s also much less expensive to eat this kind of a balanced healthy meal. The table below shows the cost per calorie of different food types. When you look at foods on a per calorie basis, fruits and vegetables are very expensive. You need them in your diet for the vitamins and minerals they provide. But it’s much less expensive (and healthier) to also include the other foods that are shown below.